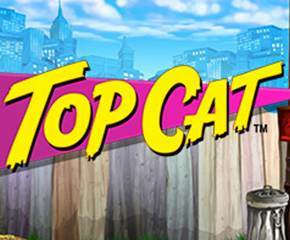 Top Cat is a new slot game based on the theme of a television cartoon show of the late 80’s. The game has five reels and twenty paylines that allow various symbol combination wins. The reels are set in the backdrop of a wooden fence with a view of tall towers of the city. There is a nice beat music in the background that keeps changing the track during each spin. The game is loaded with a various bonus feature that makes winning an easy deal. The betting begins at £0.10 and maximum is £500 a spin. 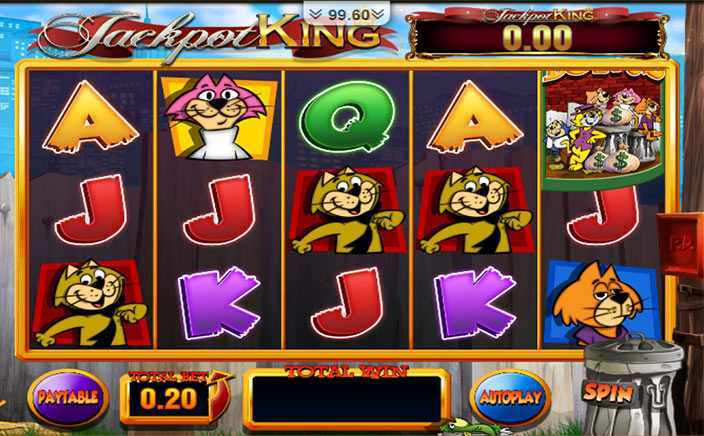 This amazing cartoon cats based slot game was developed by Blueprint Gaming. They are one of the world’s top ten developers with plenty of games to their creation list. All their games offer unique gaming experience with a rich and impressive feature that help you win massive rewards. The symbols of Top Cat slots are four different cats along with the main cat by the game name. These cats pay 200 and 300 times your stake on five of their kind. The cat that pays the top reward is the main cat where you can win 400 times your stake on five of a kind. This symbol can appear stacked on all reels. Jack to Ace of cards are the symbols with low coin value between 50 and 100. The fishbone on a plate and the game’s logo are the special symbols that help you trigger some impressive bonuses. Bonus Wild: The fish bone symbol is the wild and it backs all the symbols except the game’s logo. Five of a kind of this symbol pays you 500 times your stake too. Masterplan Bonus: The game logo is the bonus symbol of Top Cat slots and it can appear on reels 5, 3 and 1 only. Once three symbols land, you get to pick any of the five master plans. After you make a choice, it reveals a bonus and it is random from any five. You can win cash pick, free spins, wilds and multipliers from them. Hotdog Wild: The hotdog symbol is the additional wild but it can appear only on the fifth reel. Once it appears to cover the reel, it starts moving towards the first reel. On the way, it gives you re-spin until the time it exits from the first reel. With plenty of bonus features and fun animation effects, Top Cat slots is the game you must not miss if you are serious about making a profit.